January is always a good time to reflect, take stock, set goals, and look forward. So is October, in case you’re reading this in a month that isn’t January. For traveling quilt teachers, however, January is the beginning of the new teaching season, so I’m taking advantage of the rollover to 2014 to think about my teaching goals. I’ve been mulling it over and I’ve decided that I basically want to help students, both the ones I meet in person, and the virtual students with whom I interact electronically, to become better quilters. (And coincidentally, that’s what I want for myself, too!) Why better? Because better is more fun. Doing something well is tremendously satisfying. And fun. Doing something even better than you did it before is even more satisfying, and more fun. Fun is good. Success always feels better than failure. Confidence beats doubt, satisfaction trumps frustration, and in the struggle for good over evil, well, OK I got a little carried away there. 1. Practice Makes Perfect. We’ve all heard that old chestnut, usually from our parents in reference to piano lessons we weren’t all that thrilled about taking. Repetition can enhance muscle memory and will certainly make you feel more comfortable with the process. Familiarity with the basics of quilting, through practice, can build a secure foundation for learning more complex skills. Yada-yada-yada. 2. Feedback. Sounds like you have to hook your brain up to electrodes and hang around with somebody in a white coat all day long. Not at all. Feedback requires evaluation of some sort, either by you or by a knowledgeable bystander. Feedback at the basic level is comparing the quilt you’re making now to the one you just finished. Does it look better to you? Worse? How so? Feedback can be looking at the diagram in Step #4 of the pattern and checking to make sure yours looks like theirs. (And trying it again if it doesn’t.) That redo often involves doing something differently. If you are tweaking the process, feedback is examining the outcome to see if there is a difference and if that difference is positive or negative. Feedback at the highest level is putting your work in the hands of a quilt judge who will evaluate your quilt against quilts made by your peers and against an established standard. Think of feedback as an awareness of where you are in relation to where you want to go. So where do you want to go? 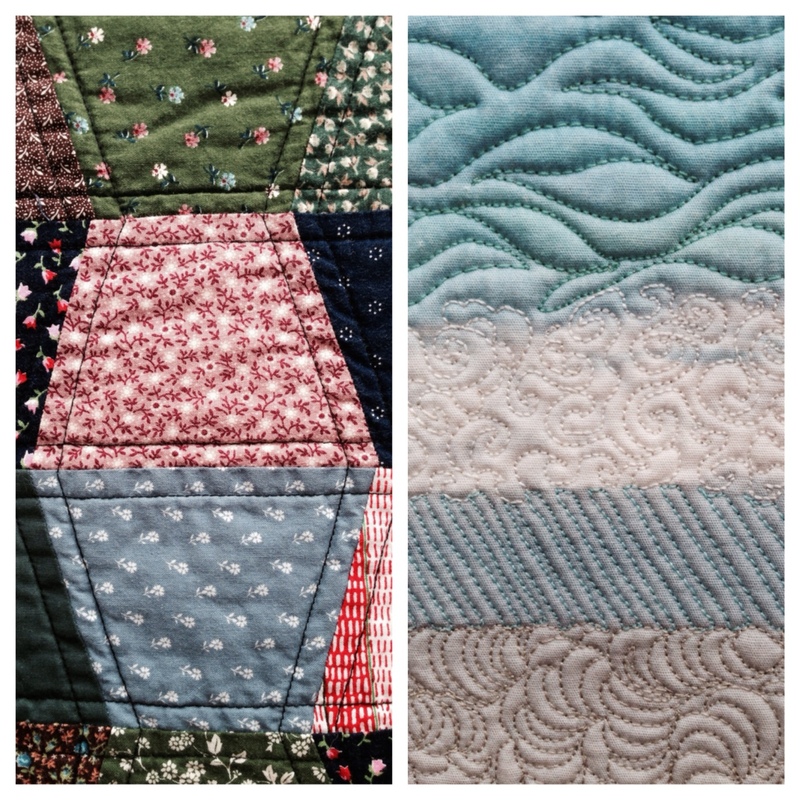 What would help you become a better quilter? You need to go out there and look at quilts! 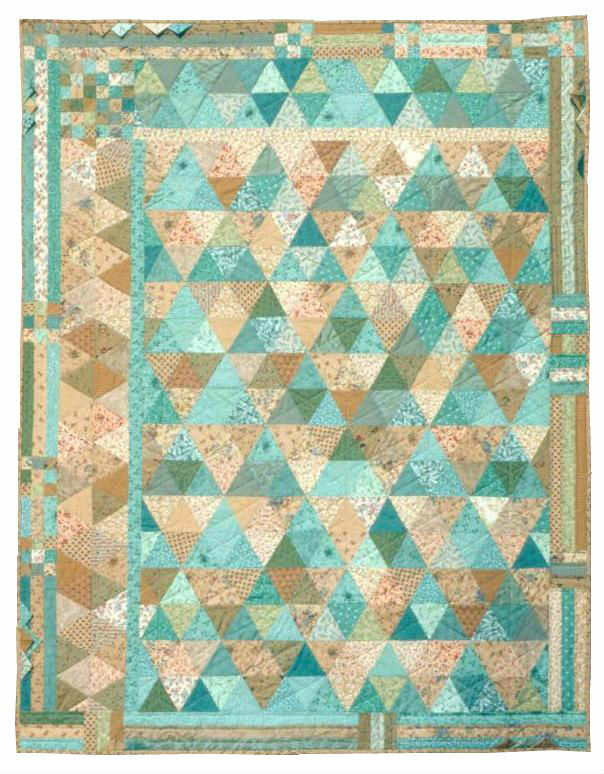 Find quilts (or parts of quilts) that inspire you. Recognize them as examples of excellent craftsmanship or design or whatever it is that floats your boat. If they are worthy of your emulation, then you have just defined “better.” Now you have something to aim for. Just keep in mind that getting there is a journey over time. You can’t fix everything at once. More importantly, it’s a journey that requires change. 4. Embrace Change. I know there is comfort in doing things the same way we have always done them. But, make quilts the same way, over and over again, and it is unlikely you will become a better quilter. (That fun quotient goes way down when you realize you’re not getting closer to your goals.) Growth and learning require change, and change is risky. Tr y a different color combination; attempt a new technique; experiment with a tool you’ve never tried before. It could be wonderful, or horrible, or somewhere in between. The quilt could turn out less than you hoped for or better than you ever expected. Sometimes you just don’t know until you try it. So, try! If the fear of failure is overwhelming, lower your expectations. 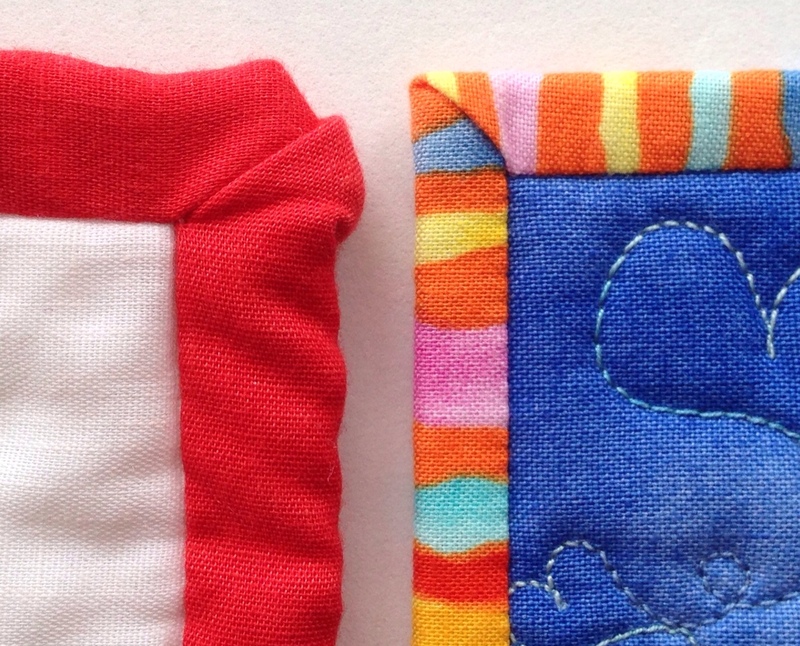 Instead of making a prizewinner, make a baby quilt. 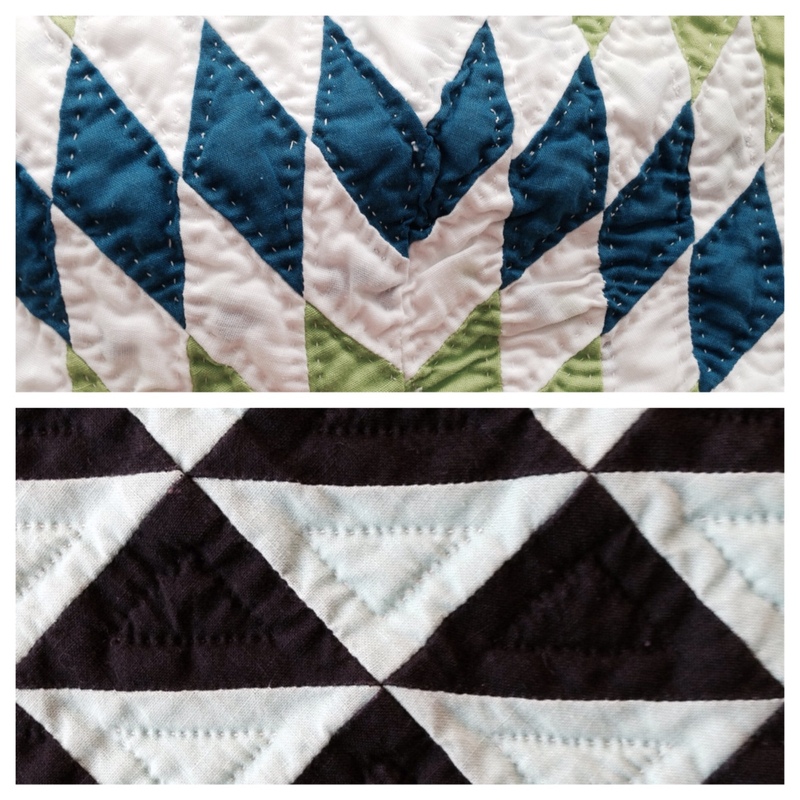 Knowing the finished quilt will be barfed on might make it easier for you to risk experimenting with design, construction, color, or technique. I made this quilt (right) for my niece Shana. I had never made an asymmetrical quilt before. I wasn’t sure if I would like it. (Turns out I liked it a lot!) So, step out of your comfort zone and give yourself permission to experiment. 5. Be Gentle With Yourself. Never before have quilters had so many opportunities to become better at their craft, nor more people telling them how to do it! Magazines, books, guilds, quilt shops, blogs, videos, quilt shows, workshops, television shows, list serves, newsletters, smart phone apps, webinars, and radio shows all tempt us with beautiful quilts, tools and techniques, patterns and advice. Take advantage of what is available, but don’t let it overwhelm you. Seek advice, but pick your own path. And remember, it’s nearly impossible to go from quilts you let the cat have her kittens on to Best of Show without experiencing a learning curve of some kind. Set reasonable goals and, above all, be gentle with yourself. Make sure your inner voice speaks to you with the same patience and compassion you would speak aloud to a young child learning the same skill. You don’t want to be your own worst enemy. After all, becoming a better quilter is supposed to be as much fun as being a better quilter. Rock it! I’m here to help. Sign up for my NEW newsletter. You’ll get a quilting tip in every issue. Your comments about this blog are encouraged!